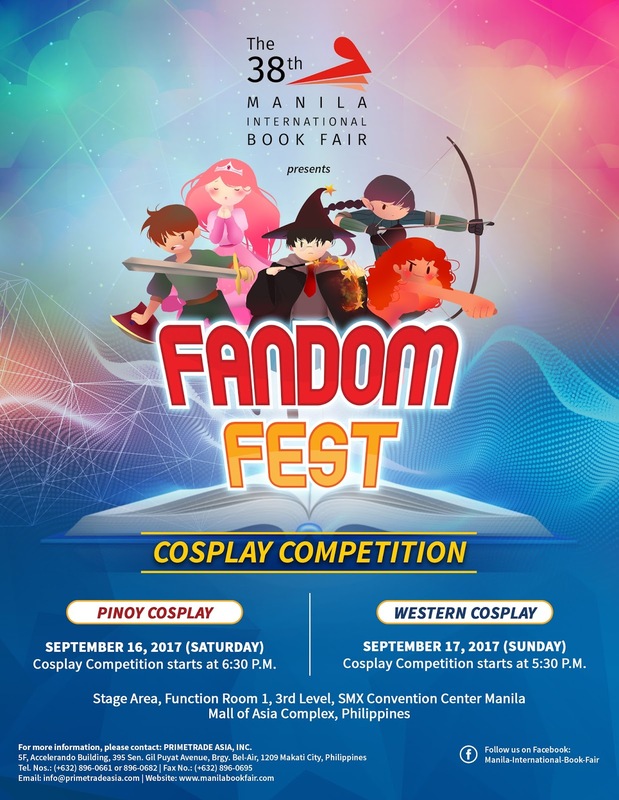 Time to channel your favorite book character and join in on the cosplay competition at The 38th Manila International Book Fair. Aptly titled Fandom Fest, this cosplay competition gives importance to Filipino book character on its Pinoy Cosplay, which will be on September 16, 2017. 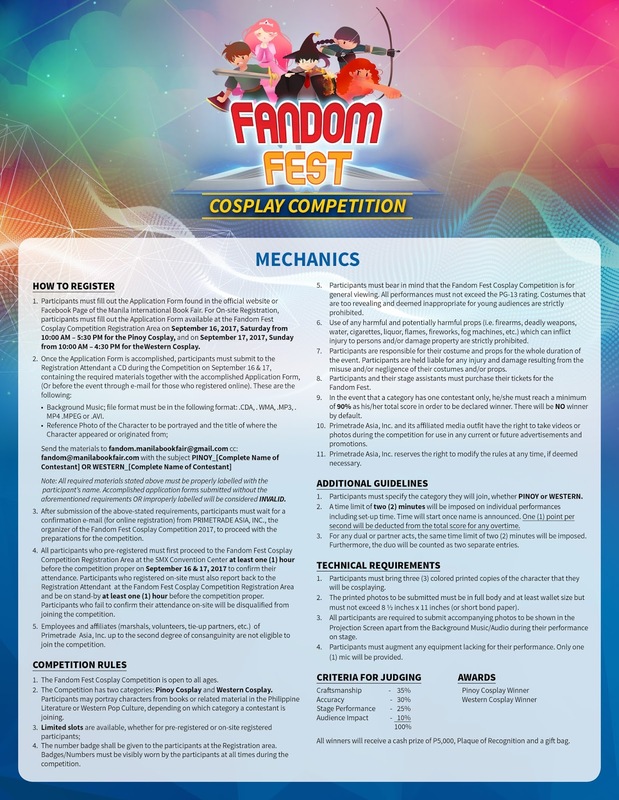 Competition starts at 6:30pm. Then on September 17, the highlight is on Western Cosplay, and competition begins at 5:30pm.